Unfortunately, registration of domain names in .CAMERA extension for Computer & Tech is not currently available. 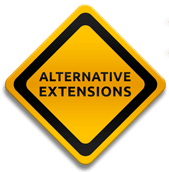 You may browse alternative suffixes/extensions for Computer & Tech that are on offer. Click your selected TLD to find out more about Computer & Tech domain authority's regulations, policy and pricing for the domains listed. .CAMERA can be registered both by individuals and companies, a local administrative contact is not necessary. Accepted payment methods for .CAMERA domain names include Visa, Master Card, JCB, DanKort, PayPal, Visa Electron, Maestro, UnionPay, American Express and wire transfer. If you need more information or have questions about the .CAMERA domain registration or transfer, please contact us at relations@europeid.com or via phone on: +44 (0) 208 133 3994.